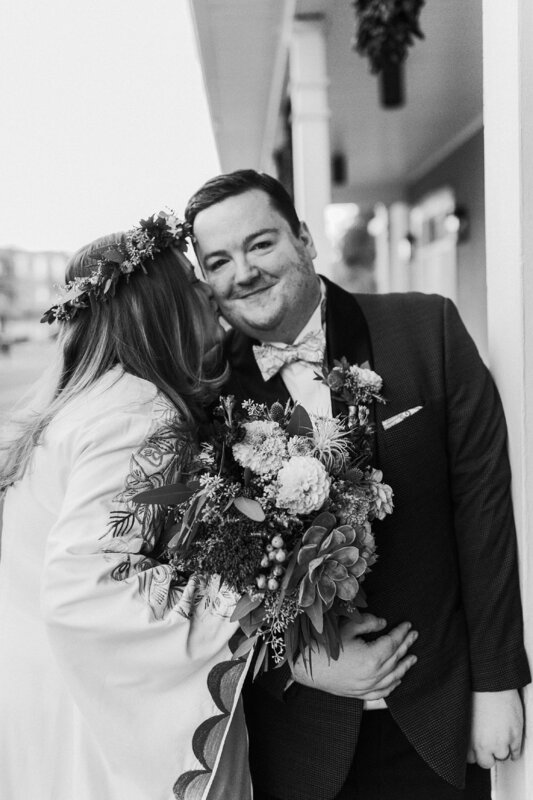 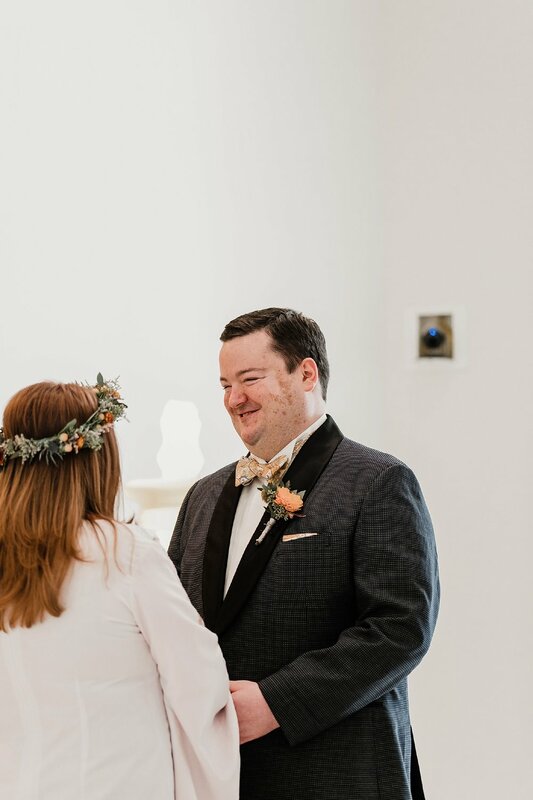 After nine years of being in love, out of the 15 that they’ve known each other, Daniel and Rebecca knew that it was time to make it last name official, but they wanted to celebrate in their own special way. 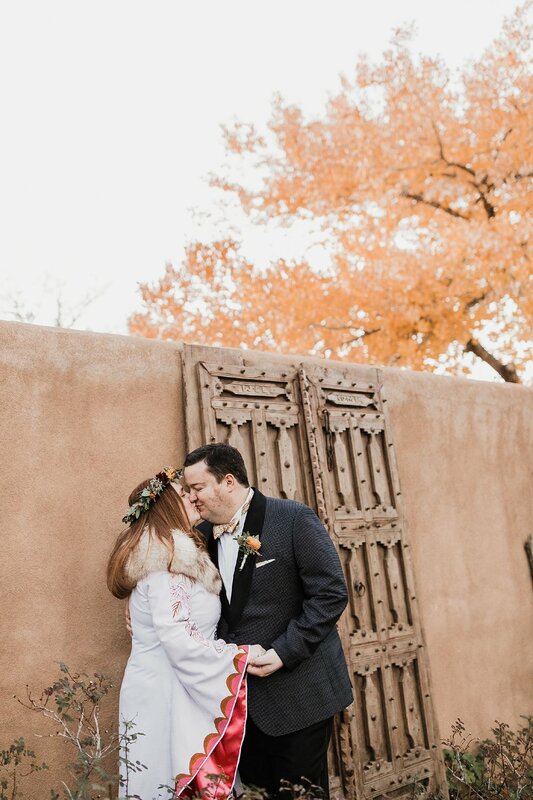 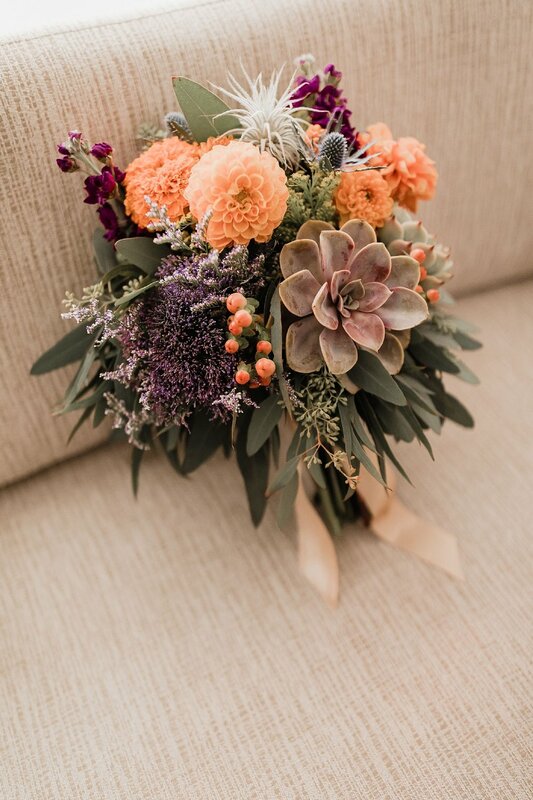 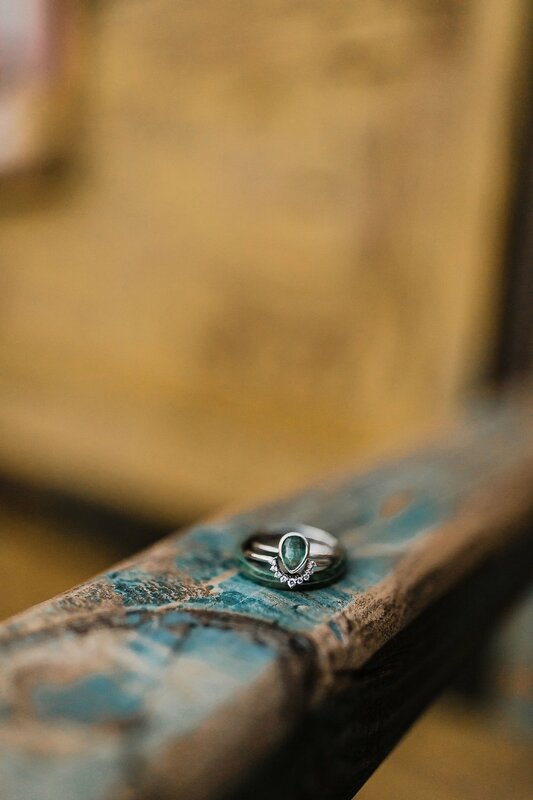 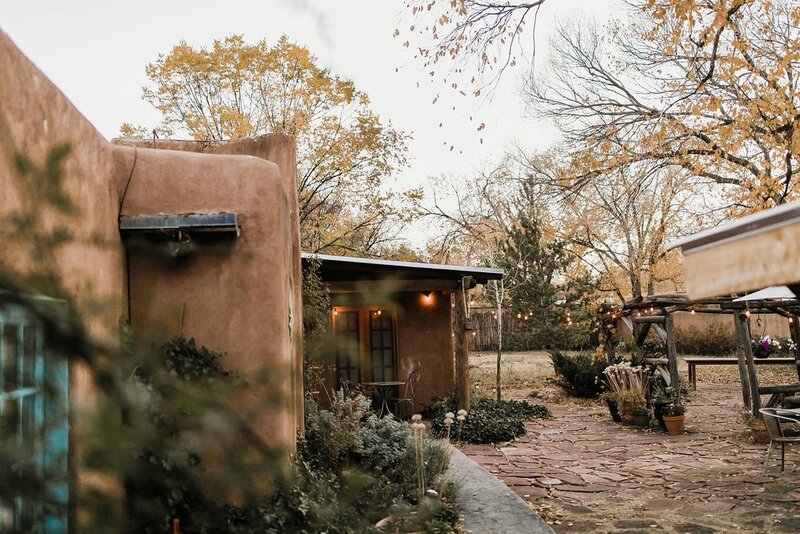 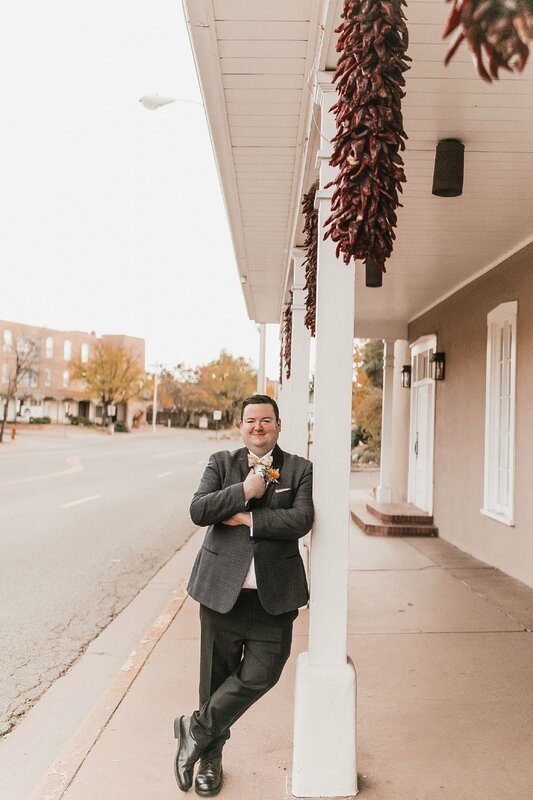 These babes went with a non-traditional, super intimate wedding in Santa Fe this past fall. 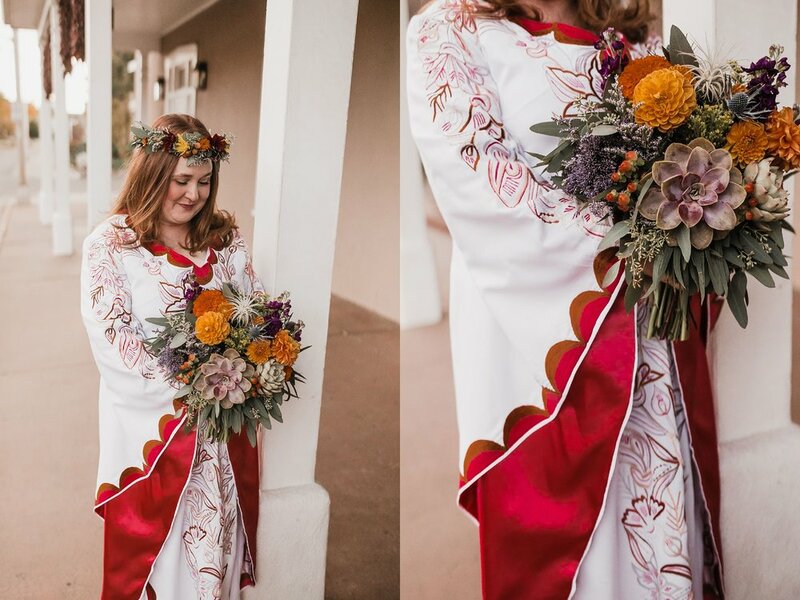 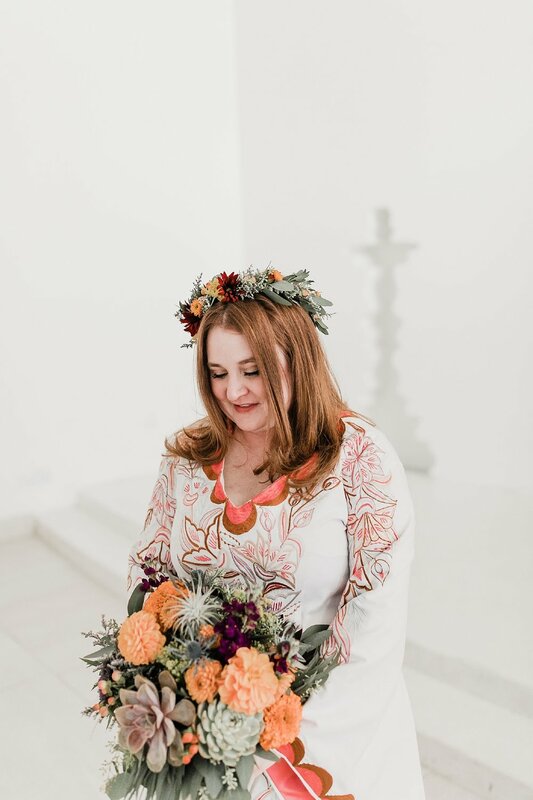 They skipped the wedding party and Rebecca decided to go with a super unique, boho-inspired caftan gown making this day extra special to be a part of. 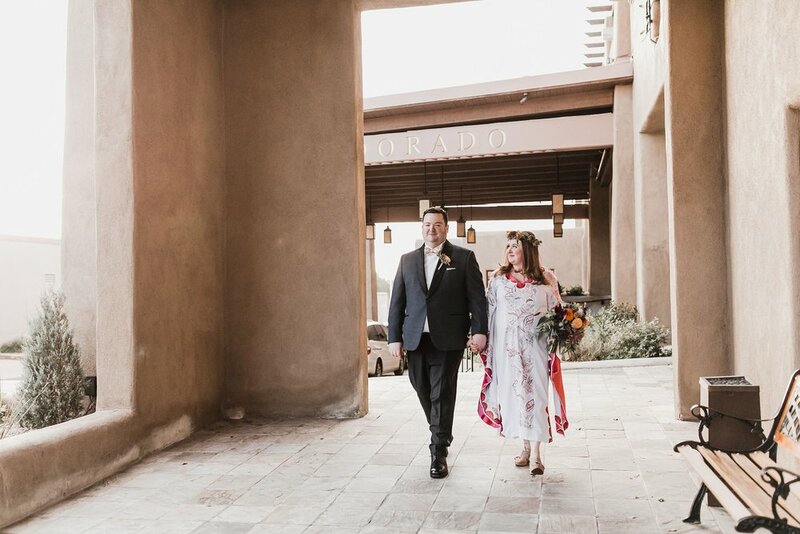 After exchanging vows in the ever ethereal La Capilla de Oro at Eldorado Hotel. 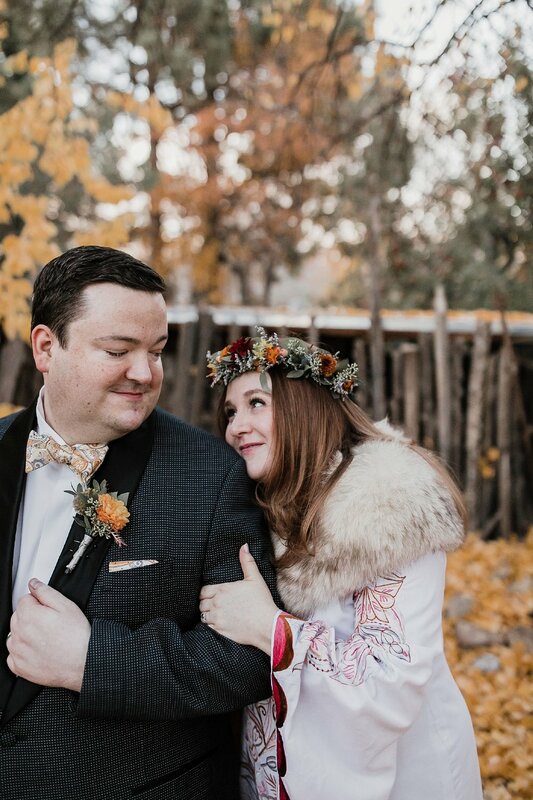 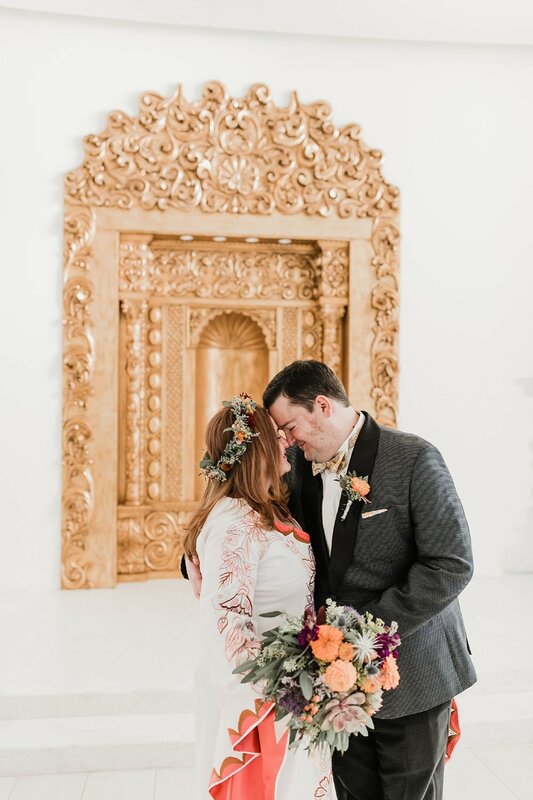 Along with their closest friends and family members, Dan & Rebecca had the sweetest little Southwestern inspired party at the beautifully quaint Neptune Studio Gallery and Event Space. 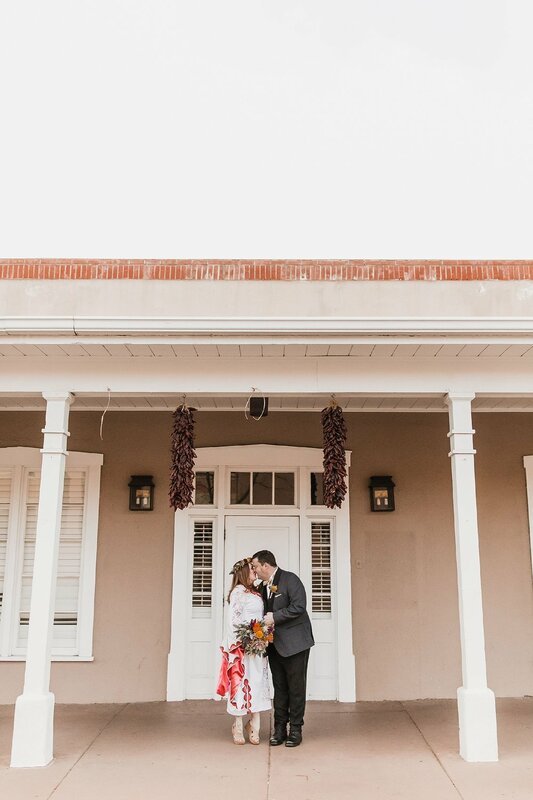 From the giant piñatas to personalized ornaments to Lotería cards, this reception was colorful and downright amazing. 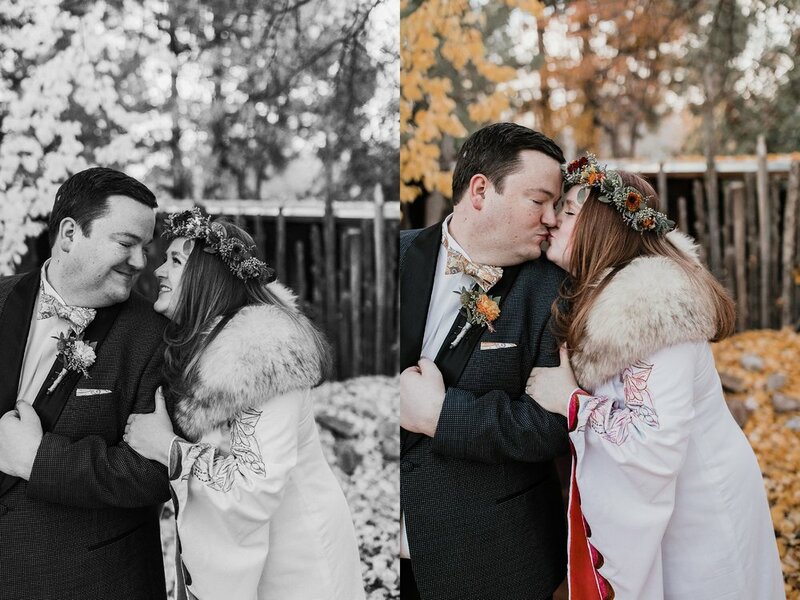 We adored these two and this day, congrats babes! 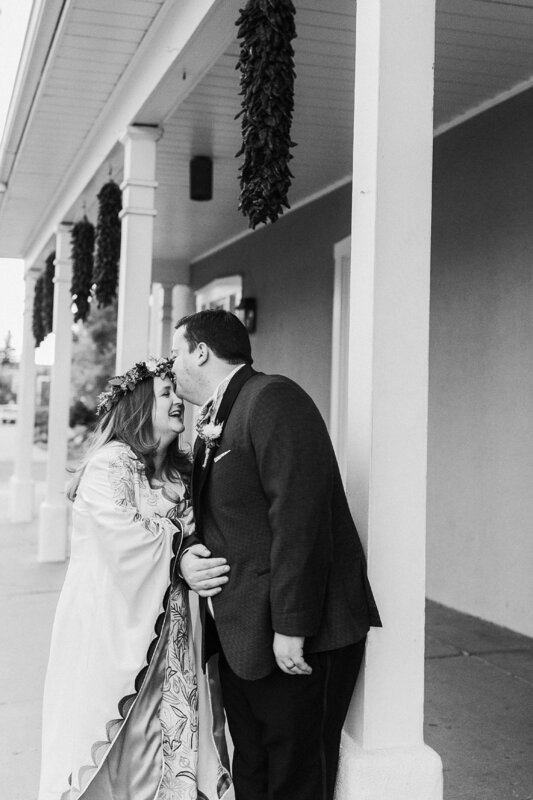 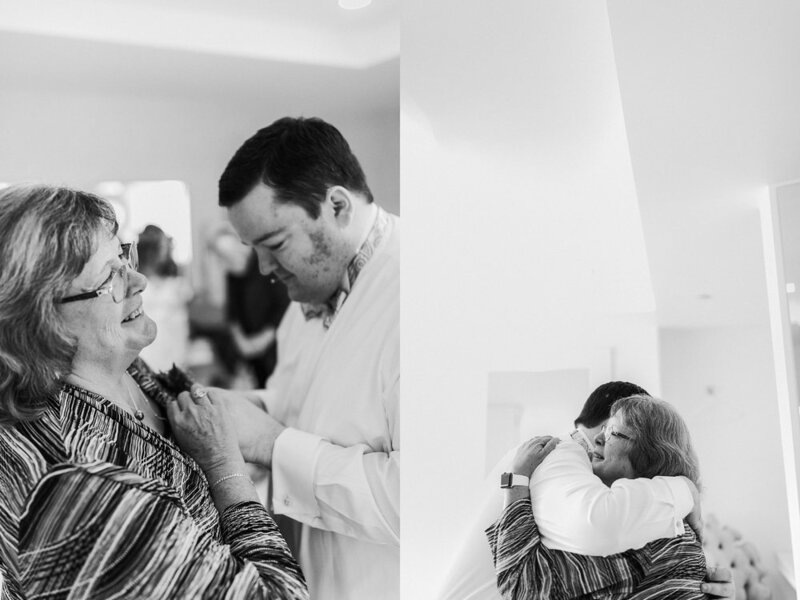 We can’t wait for more non-traditional, wonderfully authentic wedding days to come.